SourCookies | A sweet and sour taste of things! A sweet and sour taste of things! We mix all the ingredients together in a bowl and we knead the dough for about 5-6 minutes. We cover the bowl with a towel or even a blanket and we leave it in a warm place for another 15 minutes in order for the dough to approximately double its volume. We divide the dough into 4 balls in order to make 4 medium-sized pizzas.Once we’ve rolled our 4 balls we make our pizzas to the shape we like. We let them rest in a warm place for about 5-6 minutes. After that, we bake them in the oven only for 5 minutes strictly. Once they’ve cooled down, we put them in the freezer. That’s it! 1. The dough must be elastic. Don’t add extra flour if it’s a little sticky. 2. The pizzas don’t have to be defrosted. Take your pizza dough out of the freezer, just put all the things you like your pizza to have on top and bake it in the oven at the maximum temperature for about 15-20 minutes. Keep an eye on it because it’s very easy to burn. I hope you like the recipe. After all, making food from your kitchen is always better than buying something pre-made. The title sounds tough. Yesterday I had a conversation with some friends about boundaries and whether they are useful to a child’s growth. Several opinions were heard on the matter. Should parents put boundaries? One friend of mine is an only child. When she was young, her parents bought her everything she asked for and she was constantly getting presents for everything she achieved no matter how small that was (e.g. an A in Physics test). Now that she is all grown up, she can’t have a healthy relationship in her life and she seems to want things to go her way all the time. She isn’t always polite to others and she overestimates herself. On the other hand, not all children have the same needs. There are quite a few incidents where the parents misunderstand the essence of putting boundaries and as a result end up being very strict and even oppressive to their own children. How can parents be sure enough that they won’t get things worse instead of getting them better? Is there a special recipe? Every child is different and should be treated specially and that can’t be an easy job. The rebellion had already begun. We heard some sort of rustling noise. All I remember next, is the sound of the rain harassing my inane body. My trip to the countryside! 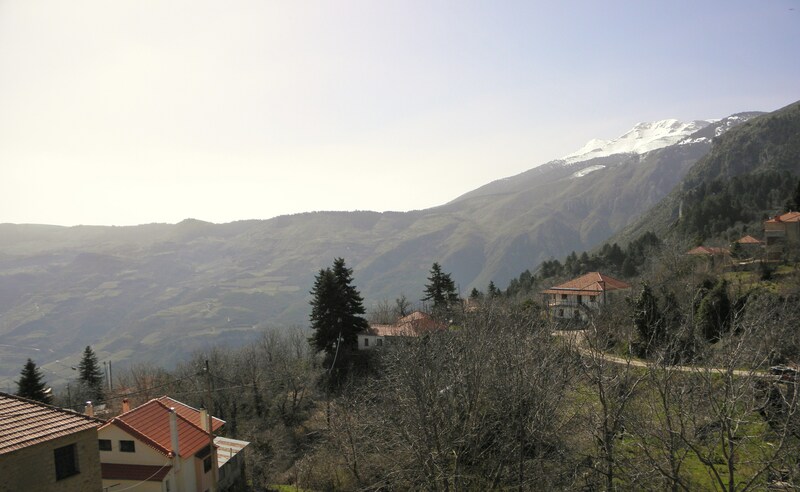 Just got back from a wonderful 3-day trip to a village called “Trikala”. Everything was wonderful there. The scenery, the weather, the people! During my stay, I realised that all things were going on a slower pace. At first I thought that the locals were lazy and I was the normal one. But as the days went by, I started to realise that it was actually the opposite. I was forced to lead a busy life because that’s the way it is supposed to be when living in the city! On the contrary, it took me quite a while to turn my “relax mode” on. Living in the city has many pros I must admit. And I belong to those who can’t possibly live in the countryside more than 1 month. However, I can’t stop thinking about how much healthier (mentally and physically) the people are in the countryside. The fast rhythm of the city leads me to believe that working 16 hours a day , 6 days a week is far more important than taking a long walk every morning or having a nice conversation with another person . We have lost the very little things in life, yet the most precious ones! Although the countryside may not offer so many luxuries, it can provide you with peace and quiet, which I suppose is a big deal! I loved my trip. It taught me that you sometimes have to pause your life and take a deep breath! Do you ever think that life can be full even with only a few things? Enjoy the simple pleasures in life. A cup of tea and some nice music is all you need to be complete. Any man who can drive safely while kissing a pretty girl, is simply not giving the kiss the attention it deserves.